In vitro fertilization outcomes among South Asian women are similar to Caucasian women in frozen embryo transfer cycles and significantly lower in fresh in vitro fertilization cycles. Frozen embryo transfers performed immediately after fresh in vitro fertilization cycles had clinical pregnancy rates similar to those postponed to a later time. Therefore, deferring frozen embryo transfers may unnecessarily prolong the time to pregnancy. 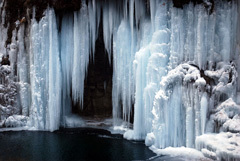 Improvements in cryopreservation technology resulted in greater availability of frozen embryos for transfers. Optimal endometrial preparation and timing of transfers are essential for improvements in frozen embryo transfer pregnancy rates and outcomes. With the use of oocyte donation-originated siblings, and controlling for potential laboratory and clinical confounders, similar birth weight and duration of gestation were observed with both fresh and frozen embryos. Single vitrified-warmed blastocyst transfer provides excellent live-birth rates and higher embryo to live-birth efficiency while minimizing preterm birth and low birth weight, relative to double transfer. This report covers >1,251,881 procedures by >3,354 institutions in 55 countries. At least 229,442 babies were born. Declining numbers of transferred embryos, and aging of patients, are discussed. Frozen transfer allows embryos to implant and develop in a more physiologic environment. This review summarizes the research on the effect of the superovulated environment on implantation and embryo development. Frozen embryo transfer is now competitive with fresh transfer and may be superior in some cases. Numerous factors should be considered when deciding between them. The “holy grail” of in vitro fertilization is identifying a single embryo that produces a healthy baby. 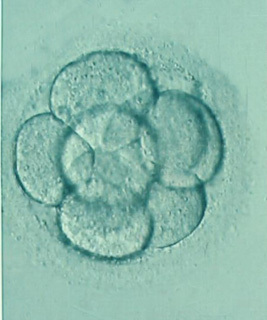 Embryos cryopreserved after reaching blastocyst stage on day 7 were compared to those cryopreserved on days 5 and 6. Day 7 blastocysts have lower but clinically important pregnancy rates. The author of this Conceptions article suggests changes in the structure of clinic-specific reporting. In vitro fertilization outcomes may be improved by performing frozen instead of fresh embryo transfer. These results could be explained by avoiding the deleterious effects of controlled ovarian hyperstimulation on endometrial receptivity. Frozen-embryo transfer in substituted cycles resulted in higher pregnancy rates but also increased pregnancy loss, leading to similar clinical pregnancy and delivery rates for the protocols studied.